Yikes Royals fans. 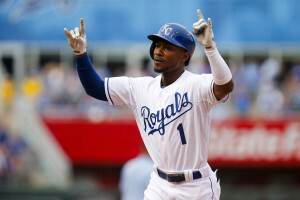 Kansas City Royals speedster Jarrod Dyson suffered an “oblique strain” during the first game of spring training in Arizona. Great way to start the year right? According to the team, it turns out he’ll be out about 6 weeks. The Royals have an awesome athletic training staff so we should feel pretty confident in that time frame, but what’s the deal with Jarrod Dyson’s injury? 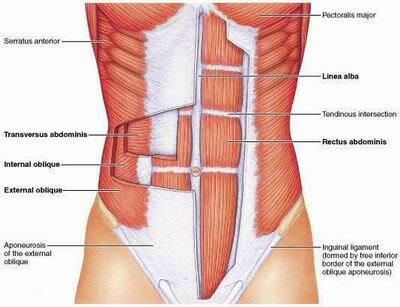 The obliques are abdominal muscles that are involved primarily in rotation of the trunk. There are internal and external obliques. The external obliques are closer to the surface, while the internal oblique is deep to that. The right oblique actually rotates the trunk to the left and vice versa for the left oblique. Obviously, that’s a big deal for a baseball player since they have to swing a bat with so much velocity in rotation. According to Johnson (Curr Sports Med Rep, 2006), the abdominal muscles are injured by direct blows or by sudden or repetitive trunk movement, either rotation or flexion/extension. More than likely, he strained it on a swing of the bat. 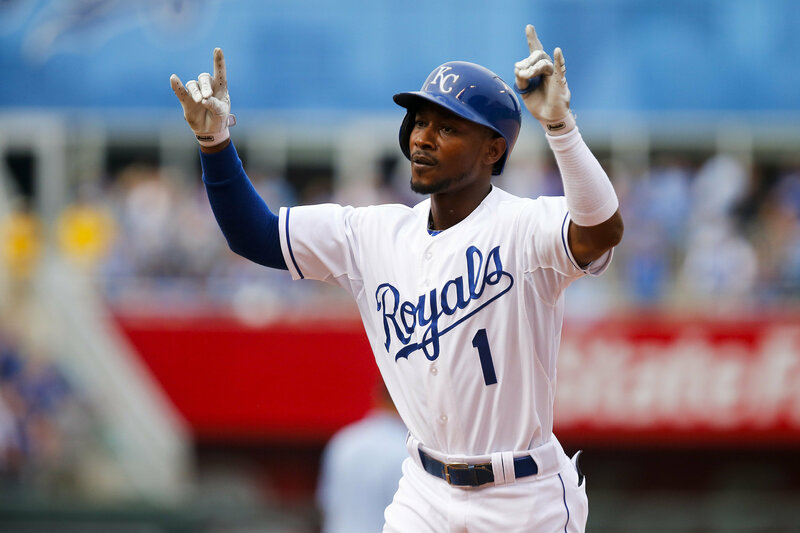 Is Jarrod Dyson’s injury common? There is actually one study from the American Journal of Sports Medicine in 2012 by Conte et al that looked at abdominal strains in professional baseball over a 20 year period. They found that abdominal strains accounted for 5% of all baseball injuries, and a whopping 92% of those were of the internal or external obliques. Interestingly, there was an upward trend (20%) of these injuries in the 2000’s, especially in early season. Clearly, Jarrod Dyson’s injury fits this description. It makes sense that these injuries are on the rise too – athletes are just more explosive today than they were 20 years ago. Our training methods have changed and athletes are stronger and faster than ever. Why is he out so long? Like any muscle injury, whether it’s a hamstring or groin strain or an oblique strain, not only is there time required for the soft tissue to heal, but the athlete has to get the strength back and then get the velocity of contraction back too. Collectively, these phases take time. Obviously, Jarrod Dyson has to run and swing explosively. It takes time for the muscle to tolerate the loading and speed of contraction that is required of it so he can do his job. What makes any abdominal strain, and any rib/intercostal muscle injury a challenge is that it’s hard to rest these muscles. The abdominal and oblique muscles contract when you roll over or sit up in bed and when you sneeze. It’s hard to give these muscles rest! Compared to a hamstring, we can easily rest those muscles – we just don’t run! What’s the rehab look like? First step is to get his pain under control. Given he’s out 6 weeks, it sounds like it could be a nasty injury. Given that it’s so early in the season and they need him for the long haul, they might just be taking extra precautions, especially considering the high re-injury rate. Nonetheless, once his pain is under control, he’ll begin a steady program of core and hip strengthening exercises. He’ll likely start with “static” abdominal contractions (think bracing yourself before taking a punch) while he pushes and pulls bands/tubing, squats, lunges, and similar exercises that keep the muscle active, but ones that don’t involve rotation. As these exercises are tolerated well, he’ll begin more trunk flexion exercises and introduce rotary movements at slower speeds first. As he is pain free with these movements, he’ll increase speed of contraction doing medicine ball chop patterns and likely get back on the field jogging and progress from there. It’s a relatively uneventful rehab. Just need time and gradual progression of exercises. Of course, he’ll have things like the pool to compliment his exercises. From a modality standpoint, other than some soft tissue work, not much else will help this injury. We hope for a “speedy” recovery for our hometown speedster. Here’s to a healthy recovery and a successful 2016 campaign for the Royals. If you have an oblique strain or any other injury that’s keeping you from being awesome, give us a call! It would be a privilege to serve you and partner with you in your care. Remember, you can see a PT in Kansas without a physician referral.